This book couldn’t come at a better time. Its publication date was December 1st of last year but receiving it this month turned out to be a positive thing. The run-up to Christmas was a very busy one for me, as it was for everyone of my friends and readers, and all my reading and reviewing plans had to be thrown out the window. It’s only now that I found the time to flip through the books I’m really interested in. I have to admit I’m not a tea person. 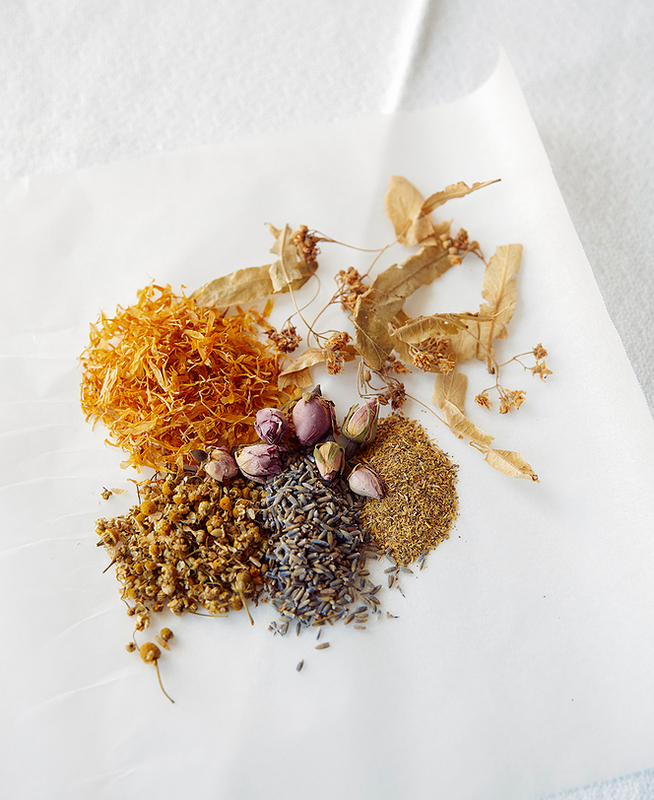 I like to try herbal tea once in a while, but my drink of choice will always be coffee, even though I’m cutting down on that. Last Saturday I had a lovely blend of lemongrass and ginger tea which I just loved. I also never turn down lavender tea, although there’s a risk of things turning soapy in taste there. 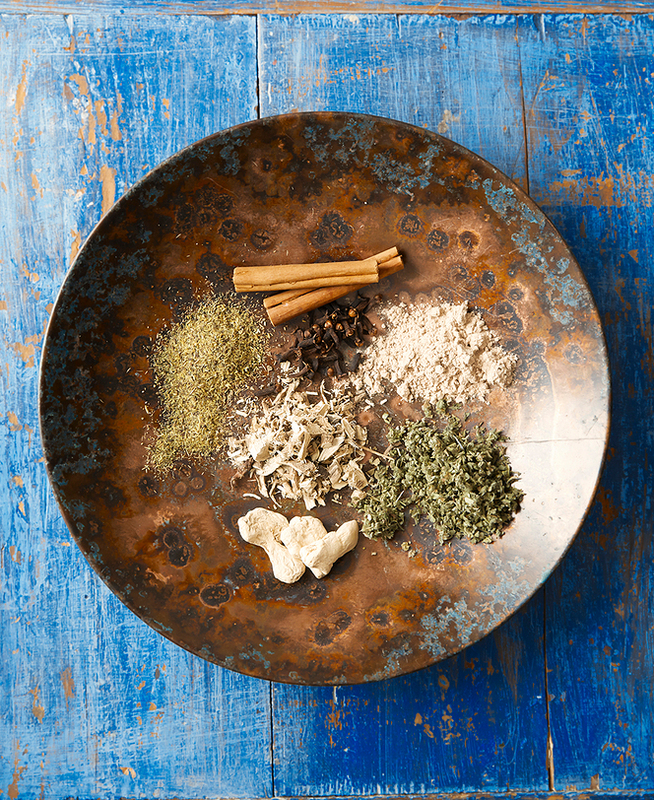 I have to say I’m not into Ayurveda or any other form of alternative medicine, but I do believe that some herbs and spices have soothing characteristics. (Having mentioned lavender, I carry around lavender essential oil with me religiously and I found dabbing a few drops on my temples helps me with my anxiety, especially right before driving, which is a horror on this traffic-infested island). So for someone like me, this book offers 70 blends which anyone can prepare according to taste by adjusting the amount – flexibility: a quality which I admire in many people or in this case, in a book. And it’s quite comprehensive. With Kim Lightbody’s signiture photography style, there are 19 sections in all, excluding the index and the thank yous. 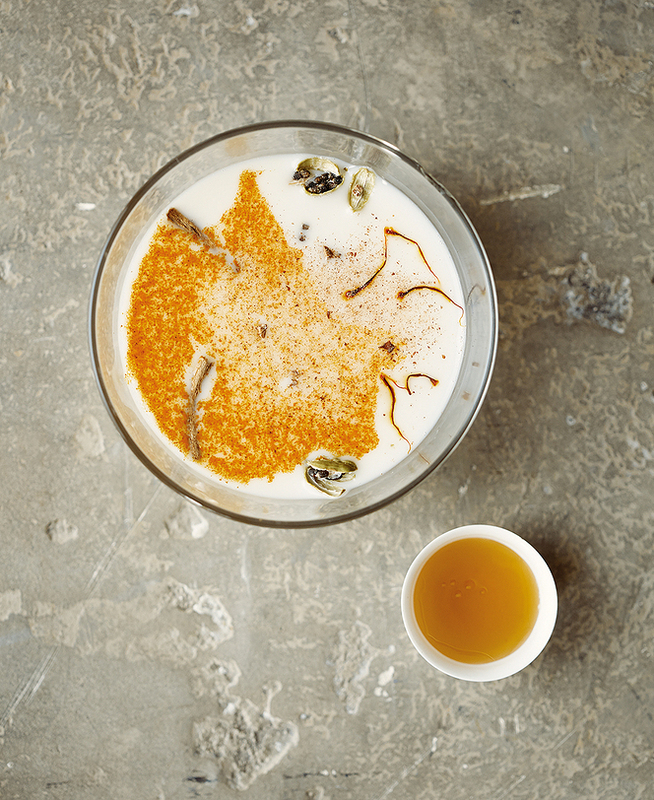 The chapters range from the basics, as in ‘The perfect blend’ and ‘The art of making herbal tea’, to one about various other possible drinks called ‘Beyond Tea’ among which a recipe for a rose essence lassi, a morning seed smoothie, a winter tonic and a delicious cocktail aptly named Pukkalini. Note the names for some of the blends. ‘Forgive me for I have sinned’ just made me laugh but it’s perfect after a night of indulgence, obviously featuring peppermint leaves! 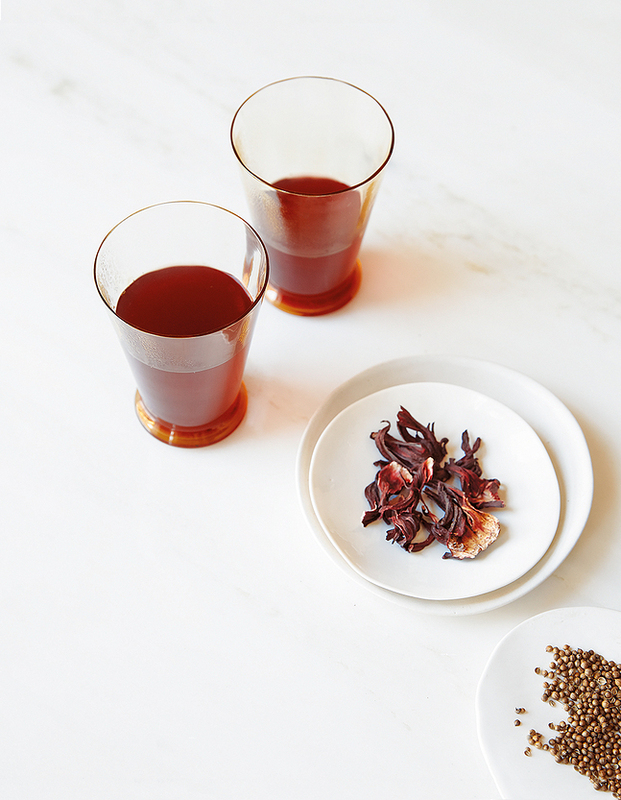 Make this book a gift for the tea lovers among your friends and family. It will be greatly appreciated. 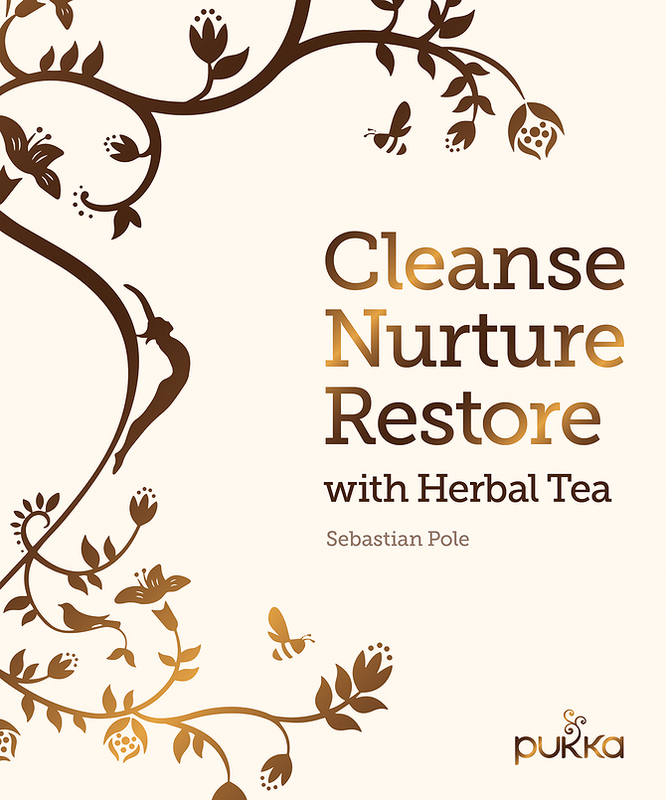 Cleanse, Nurture, Restore with Herbal Tea by Sebastian Pole, photography by Kim Lightbody, is published by Frances Lincoln RRP £20. I love the photographs! Although I consider myself to be a coffee person, there are times when only tea will do.